In this tutorial, we will guide you on how to use Voice Changer Software 8.0 (Diamond Edition) (VCSD8) for changing your voice when you are on AIM. * You need to have AIM installed on your computer. 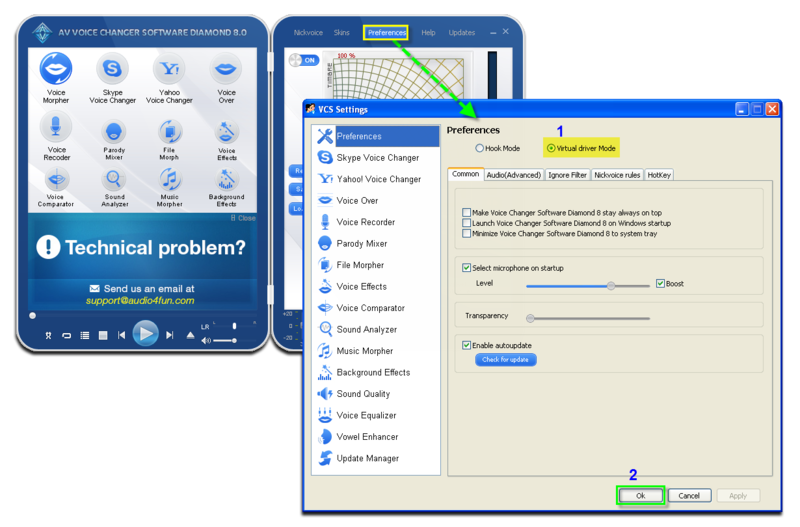 Open Voice Changer Software 8.0 (Diamond Edition), choose morphing effects for your voice, and make adjustments until you are satisfied with the output voice. Click on Start Video icon on top-right corner (3) to start setting for microphone. 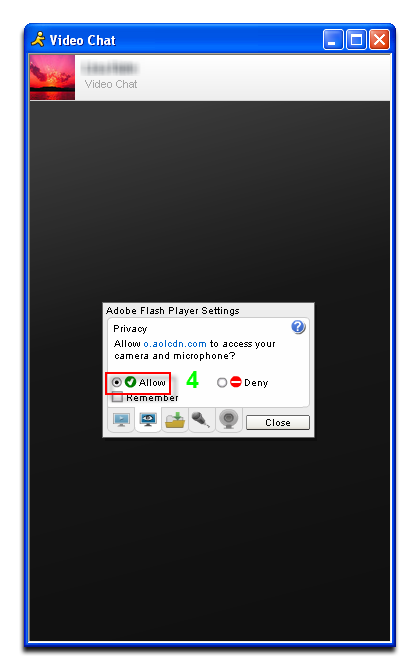 - When Video Chat dialog box appears, the Adobe Flash Player Settings dialog pop-up will come out >> click on Allow radio (4) to grant the service access to your camera and microphone. Then, go to Microphone tab and select Microphone (Avnex Virtual Audio Device) as the microphone input. 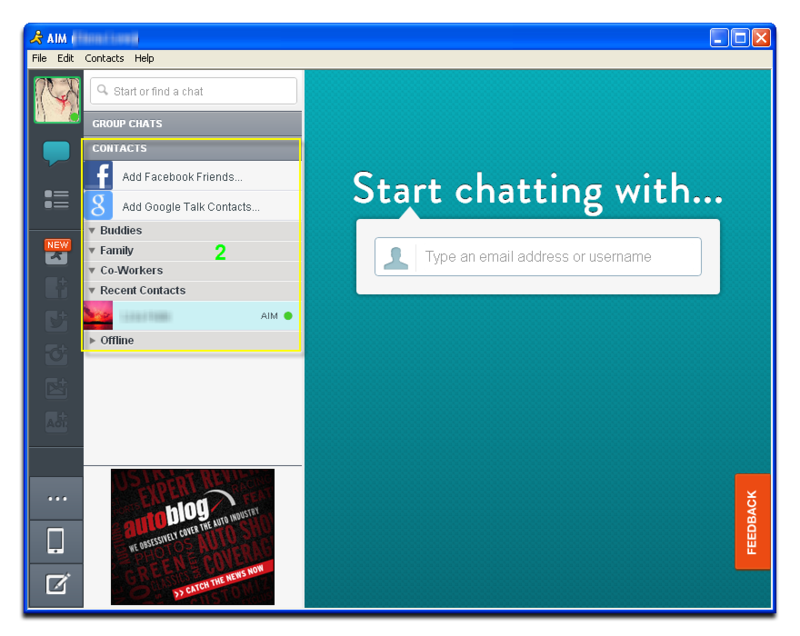 Click Close button to start the chat screens. - Now, the morphing effects will be applied automatically. 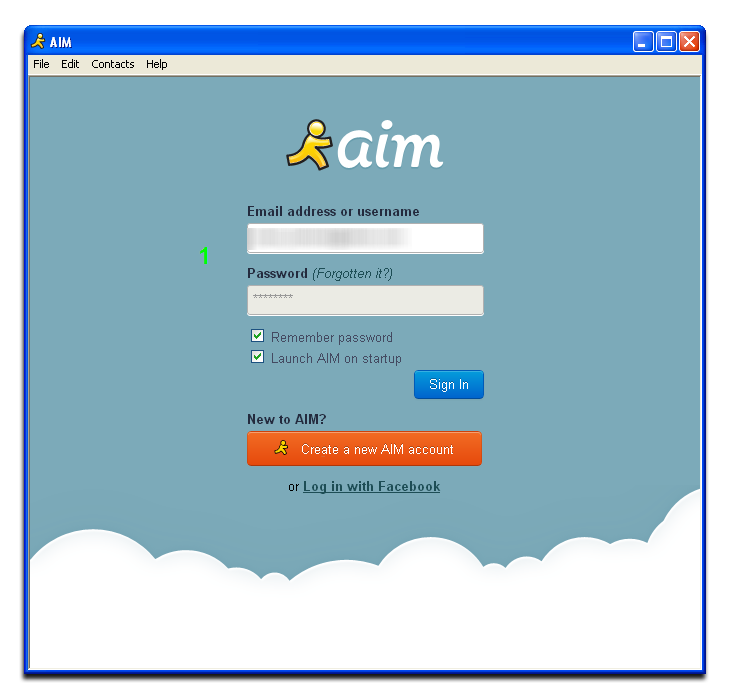 Note: Anytime you want to change your settings in AIM, click on the Settings button (6) on the top-left corner of your chat screen. 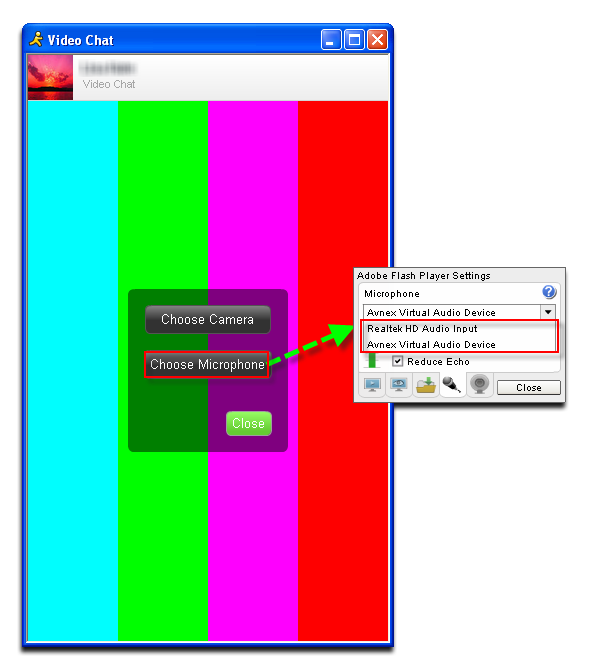 Select Choose Microphone tab, then Adobe Flash Player Settings dialog pop-up will come out and select Microphone list to change the microphone input. You can now start the voice chat session on AIM with your voice changed. Note: Please notice that as long as the Voice Changer Software 8.0 (Diamond Edition) is On, the morphing effects will be applied to your voice automatically. To be back to normal instantly, you will just need to turn the voice changer software off.